Easily connect your video-enabled USB-C device to an HDMI display with the Belkin USB-C to HDMI Adapter. 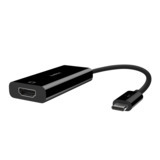 This convenient, compact adapter allows you to effortlessly share media from your USB-C enabled laptop* on an HDTV, 4K monitor, or other HDMI-enabled display. Featuring support for 4K resolutions up to 4096x2160 at 60Hz, the adapter delivers a crisp, vivid image that is free of motion blur and noise--making it ideal for gamers, video editors, and movie buffs. 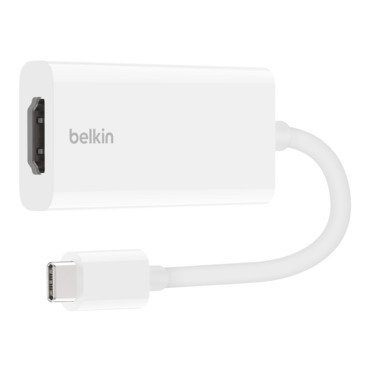 The adapter features advanced shielding for stable, reliable Wi-Fi performance, and high-quality construction that offers long-lasting durability. Unlike most conventional video adapters, the Belkin USB-C to HDMI Adapter houses a 6-layer circuit board that delivers uncompromising audio-visual quality. 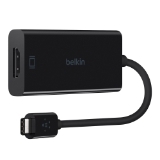 The circuit board, which is protected by Belkin’s unique advanced shielding, also keeps EMI (electromagnetic interference) to a minimum, ensuring that you’ll enjoy a reliable, high-fidelity signal. 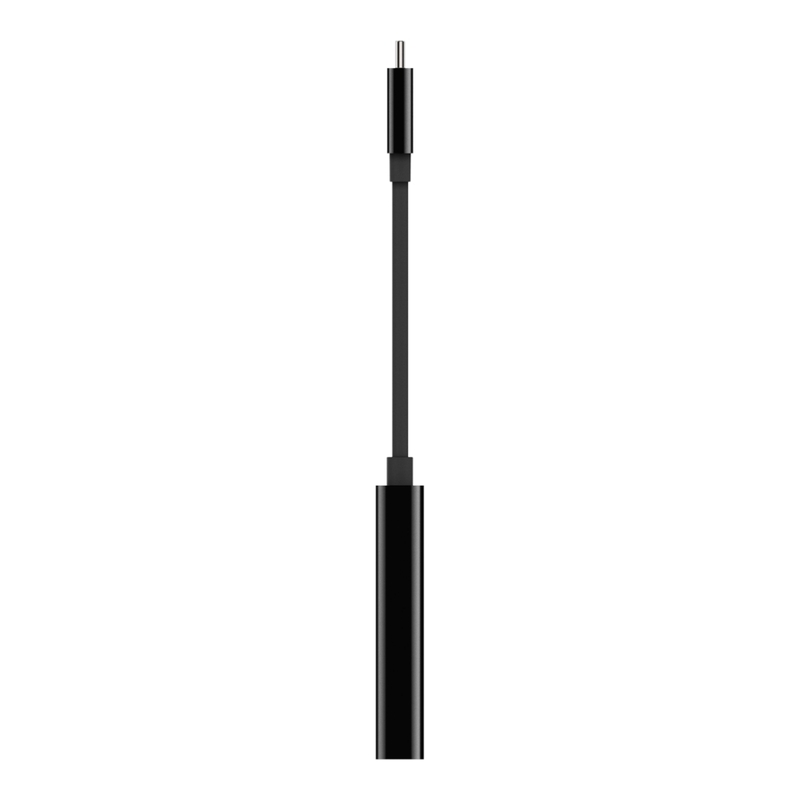 And thanks to its meticulous construction and protective coating, the adapter is engineered to withstand tough use. 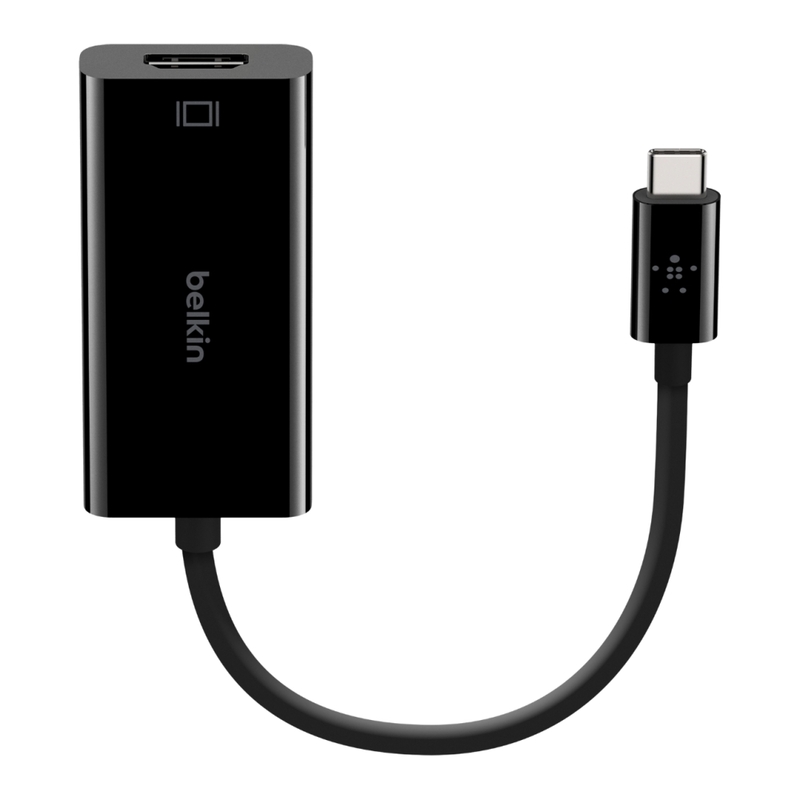 Offering support for 4K resolutions up to 4096x2160 at 60Hz, the Belkin USB-C to HDMI Adapter delivers a clean, crisp picture to render your videos, photos, and games with stunning clarity. Unlike other adapters that only support a 30Hz refresh rate, this 60Hz adapter offers a smooth-moving, seamless image that is free of motion blur. Ideal for High Dynamic Range video, the adapter also supports HDCP 2.2 to stream protected content from iTunes and Netflix. This versatile adapter is compatible with any device that has a video-enabled USB-C port--including certain smartphones, tablets, and laptops. 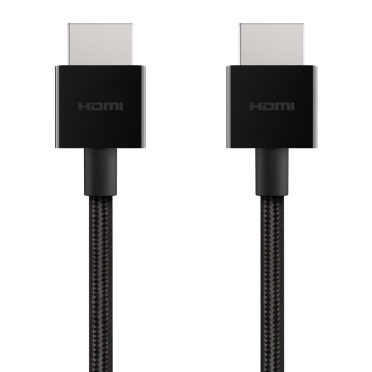 Use it to connect your device to 4K displays, HDTVs, and any other display equipped with an HDMI port. The adapter’s reversible USB-C connector connects to your device in any direction, helping ensure a hassle-free connection.